This is a BRAND NEW set of LEGO® Friends 41330 Stephanie's Soccer Practice from 2018. This set is still factory sealed and the box is in very good condition with minor shelf wear. 119 pieces and 1 minifigure©. This is a BRAND NEW set of LEGO® Friends 41332 Emma's Art Stand from 2018. This set is still factory sealed and the box is in very good condition with minor shelf wear. 210 pieces and 1 minifigure©. 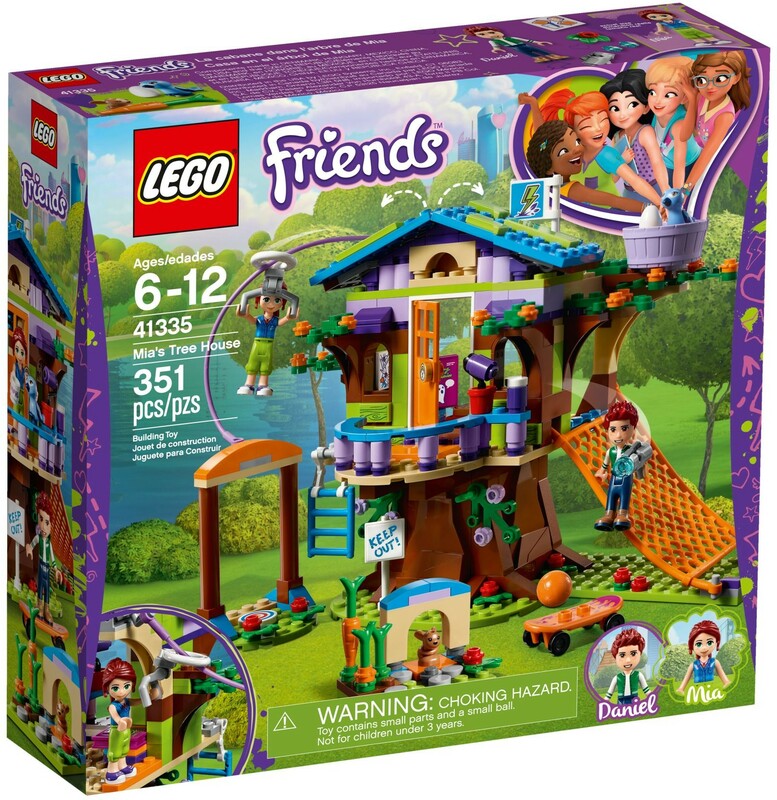 This is a BRAND NEW set of LEGO® Friends 41335 Mia's Tree House from 2018. This set is still factory sealed and the box is in very good condition with minor shelf wear. 351 pieces and 2 minifigures©. This is a BRAND NEW set of LEGO® Friends 41001 Mia's Magic Tricks from 2013. This set is brand new, however the set you receive may have one or more of the following conditions; broken seal, crushed box, sticker damage, heavy creases, wrinkles, dents and shelf wear. 90 pieces and 1 minifigure©. This is a BRAND NEW set of LEGO® Friends 41134 Heartlake Performance School from 2016. This set is still factory sealed and the box is in very good condition with minor shelf wear. 774 pieces and 3 minifigures©. 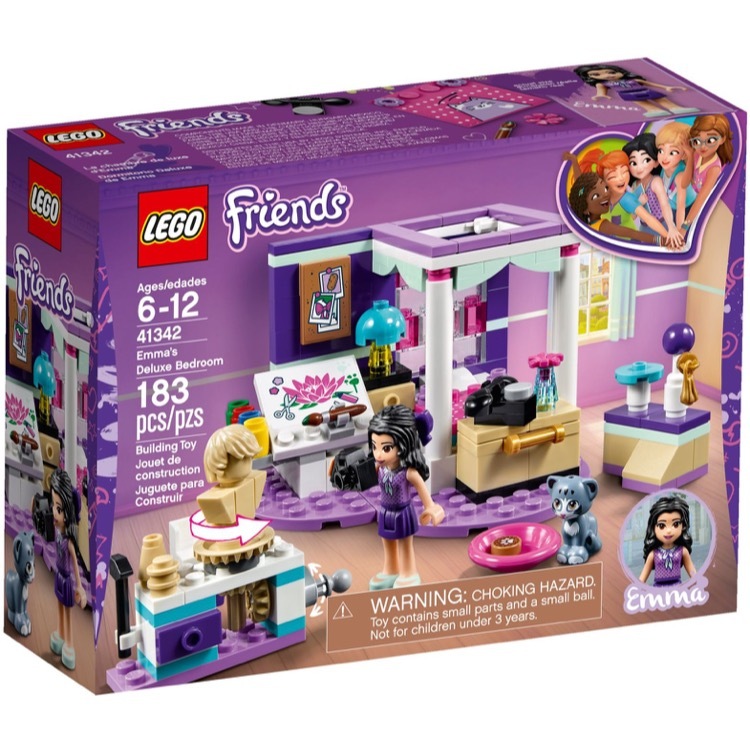 This is a BRAND NEW set of LEGO® Friends 41341 Andrea's Bedroom from 2018. This set is still factory sealed and the box is in very good condition with minor shelf wear. 85 pieces and 1 minifigure©. This is a BRAND NEW set of LEGO® Friends 41342 Emma's Deluxe Bedroom from 2018. This set is still factory sealed and the box is in very good condition with minor shelf wear. 183 pieces and 1 minifigure©. 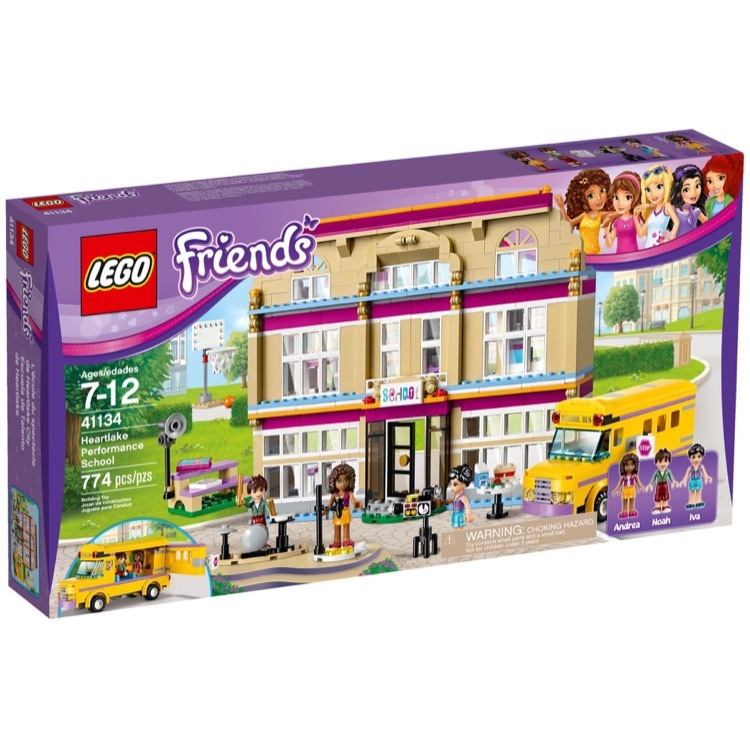 This is a BRAND NEW set of LEGO® Friends 41344 Andrea's Accessories Store from 2018. This set is still factory sealed and the box is in very good condition with minor shelf wear. 294 pieces and 2 minifigures©. 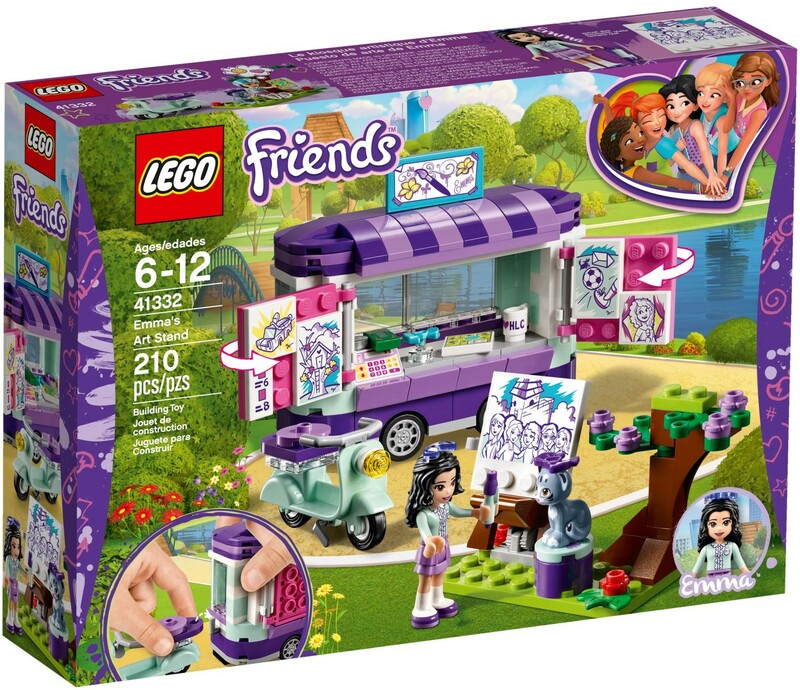 This is a BRAND NEW set of LEGO® Friends 41346 Friendship Box from 2018. This set is still factory sealed and the box is in very good condition with minor shelf wear. 563 pieces and no minifigures©. This is a BRAND NEW set of LEGO® Friends 41347 Heartlake City Resort from 2018. This set is still factory sealed and the box is in very good condition with minor shelf wear. 1017 pieces and 4 minifigures©. 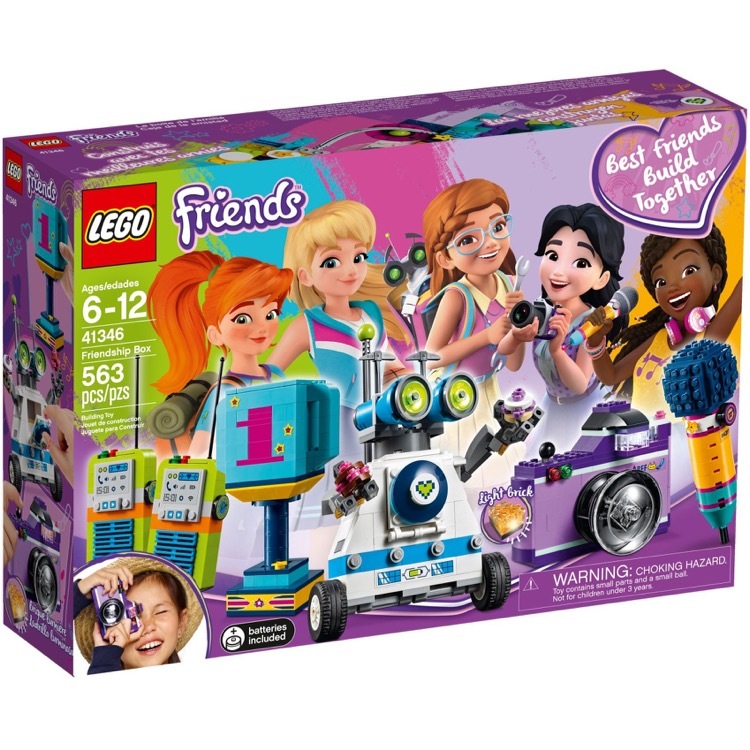 This is a BRAND NEW set of LEGO® Friends 41348 Service & Care Truck from 2018. This set is still factory sealed and the box is in very good condition with minor shelf wear. 247 pieces and 1 minifigure©. 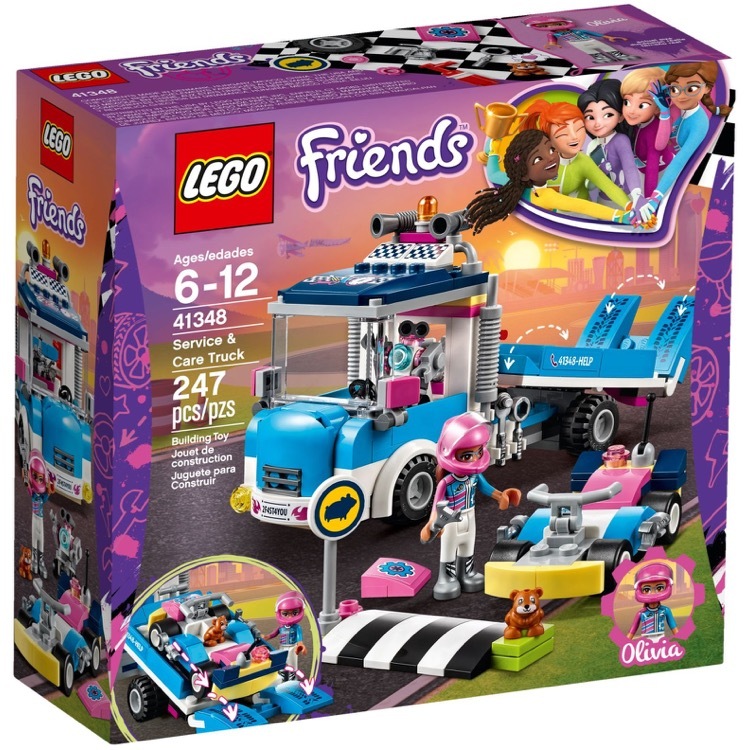 This is a BRAND NEW set of LEGO® Friends 41349 Drifting Diner from 2018. This set is still factory sealed and the box is in very good condition with minor shelf wear. 345 pieces and 2 minifigures©.